Less than two years past, a mere blink of an eye in the Rugby Continuum, today’s guests in Dublin were on the verge of setting the global record for International Test victories. They’d equaled New Zealand All Blacks run of eighteen wins and were seeking to set the new standard of expressed rugby excellence. The English juggernaut was derailed by an ungenerous Irish defense and that ended Eddie Jones’ perfect sequence of joy since he’d taken the English pilothouse after 2015 RWC. Somewhat of a role reversal today as Ireland, who incidentally earlier in 2017, stopped the Kiwi victory skein at 18 also, are second-placed on the planet, and while England are at number four on the global chart, travelers are not the same composed squad with-a-bit-of-a-swagger that they were a couple of years past. Conor Murray is returned from injury and he and Jonathan Sexton will facilitate much of today’s home team’s action, while their opposite numbers, Ben Youngs and Owen Farrell, will be working the pill against them with gusto. All four men are field generals of the highest order and today, with weather playing nice at Royal Dublin Society, they’ll be displaying their skill sets in deliberate and determined fashion. Expect high and lofty queries at the outset from all of the quartet and long ranging territory gainers from Farrell and Sexton. 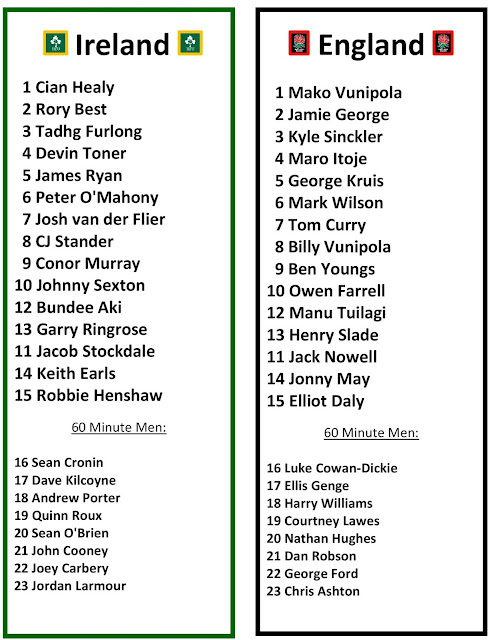 In the midfield there’ll be the delicious encounterings of Manu Tuilagi v Bundee Aki and Gary Ringrose v Henry Slade, while outside that volatility will be Jonny May v Jake Stockdale and Jack Nowell v Keith Earls. If there are groundings to be had, these are the plausible suspects who’ll affect them. England look to Maro Itoje, flanker-turned-lock, his engine room partner George Kruis, and 8man Billy Vunipola to set up platforms, and frontrowmen Mako Vunipola and Jamie George to move things along through the phases. Ireland have the impressive SA native, CJ Stander, locking down the backrow and breakaways Peter O’Mahony and Josh Van der Flier will be supporting Stander’s work today. Rory Best and Cian Healy expend energy in the front row trench and their success at securing the pill at set scrum will be definitive. Absence of Racing 92 elite, Simon Zebo, from Joe Schmidt’s player pool somewhat of a head scratcher. Zebo’s in fine form and function and while Ireland may be deep, which they are, Zebo’s a closer and has few equals. One of whom should come off the bench today for the visitors, Chris Ashton. Possibility of witnessing an “Ash Flash”, always there and ever present, kinetic like an avalanche. 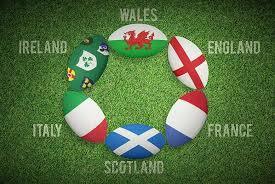 End of day, and though France-Wales yesterday was thrilling, this is Six Nations Match of Weekend.